CAANZ, IPA, CPA Australia, choose your designation (from an employer’s perspective). HOME » CAANZ, IPA, CPA Australia, choose your designation (from an employer’s perspective). CAANZ, IPA, CPA, which designation is for you (an employer’s perspective). CA, IPA and CPA whilst all being accounting accreditations differ in their implementations and stereotypes. Having hired all three designations, we have found many similarities between practitioners of all three designations (throughout our sample size). Many accounting firms Melbourne have their preferences for certain designations, this may be due to the type of work performed, training facilities, regions, client types etal. Although our sample size is small and may not truly reflect the reality of the situation, we have found the following with regards to our employees. CAANZ accountants are generally regarded as the cream of the crop, there are many reasons for this. After reviewing materials for both CAANZ and CPA Australia, CAANZ materials are of a much higher standard and are generally much more in depth than the equivalent CPA materials. CAANZ is very technical and the majority of CAANZ members we have come across have displayed very strong technical skills. Audit is an area in which CAANZ cannot be matched by other accounting designations. CAANZ is generally the preferred designation for most accounting firms melbourne and has an extremely high weighting in Sydney compared to other designations. CAANZ is the equivalent of CPA USA and receives mutual recognition (CPA Australia is not affiliated with CPA USA and is not mutually recognised). CPA has the advantage of sharing the same initials with CPA USA, although they are not affiliated with each other in way shape or form. This has given CPA Australia a recognition advantage which the other designations do not have. CPA having the highest membership level of all the designations is somewhat of a mixed bag, there are members with a plethora of experience and others whom are mere graduates, members of CPA Australia are much harder to place in a basket. Theoretically CPA coursework is much less in depth than that of CAANZ and is quite general in nature. Taxation knowledge is minimal (all registered tax agents are required to have a greater depth of knowledge than CPA members), and accounting theory is minimal compared to CAANZ and IPA’s diploma of accounting (also satisfies requirements to become a registered tax agent). CPA does however have a strong following in Asia and may be a key factor in deciding on your designation for those planning to perform works in Asia. Unfortunately, CPA Australia is not looking in good shape due to the alleged mis-appropriation of members funds to fund the ex-CEO’s lifestyle and self-promotion. IPA is the least recognised of the three, however this is as a result of poor marketing rather than coursework requirements. IPA is the only designation to issue a Master’s degree upon completion (provided through a university), and also provides a tax agent registration pathway (upon completion of the diploma of accounting)(a tax agent registration is a requirement to lodge tax returns Melbourne). IPA also offers members the ability to obtain an MBA (can be put on HECS) and is the only designation with such an offer. IPA caters for SME organisations and is geared heavily towards public practice accounting owners and provides a great deal of resources for accounting firm’s (ie checklists, templates etal). 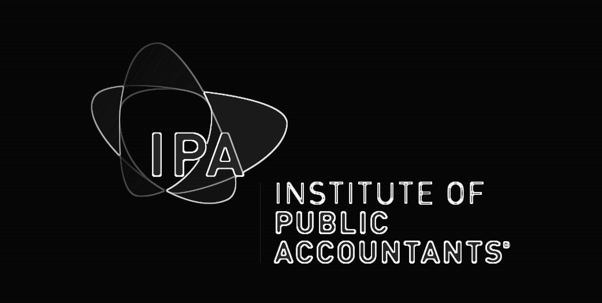 Due to IPA’s limited market recognition and heavy gearing towards accounting firm owners, most IPA members we have found have extremely high levels of experience and are very adept at their chosen field of accounting (IPA members are generally experienced accountants joining a designation (or obtaining a public practice license) as opposed to accounting graduates looking to further their career. As important as credentials are, from an employer’s perspective, experience trumps all! Can an Accounting Firm assistance you get a business loan? A good comments for all the professional body members. If your professional body keep raising membership fee dramatically even more than inflation rate, then you should think switching to other professional body. according to disclosure form one of professional body of Australia, that society raising fee of membership and examination fee to fill historical expensive termination compensation of former CEO. All their members and students pay the costly price for the sake of such incident happened where some member planning to join other professional body such as CA ANZ or IPA Australia. You should go further when describing members of the IPA, who are mostly, business owners and or in senior management (75% according to the IPA). They also complete either the equal highest (with CAANZ at AQF 8) or Higher than CAANZ (AQF 9 – Masters) qualification on offer by the three accounting bodies. CPA has no AQF Level. If an employer does not want to advertise for job applications by IPA members, they haven’t done their research. Who wants to work for an employer who doesn’t even know the law of the land. It’s probably one of many laws they do NOT know. no problem for IPA members, we don’t need someone to employ us, we create our own. You are correct, we could have gone into much more detail covering coursework and requirements. We have emphasized the experience which IPA’s have as we feel this is one of the most important components of an outstanding accountant. Your analysis of IPA’s coursework is spot on, if we were to delve deeper into the subject, IPA would shine brightly in comparison to the other bodies.